If you follow me on Twitter or Facebook, you might know that I have a stack of print copies from SWORN TO TRANSFER and eARCs of SWORN TO CONFLICT. I want to give one of each to you. A great idea for the holidays, yes? That means it’s time for one of my favorite kinds of giveaways — the Reviewer Appreciation Giveaway! What does this entail? I’m so glad you asked! 1. Read SWORN TO RAISE OR SWORN TO TRANSFER. 3. Post that review everywhere: Goodreads, Amazon, Barnes and Noble, or your blog. If you have an account with international bookstores (like Amazon.uk or .ca), post it there, too. It’ll count! 4. Keep links of the places you post your review. 7. This will run from October 16th – November 16th. 8. Yes, this is international. 9. Bloggers are welcome to join in. Alright? Ready? Then post and click on the Rafflecopter giveaway below to enter. I want to thank all of you for the enthusiasm you’ve shown for the Courtlight series! I could never have imagined it being so well received and I hope you love Book Three as much as One and Two. It’s my favorite since I got a lovely email from my cover artist with SWORN TO TRANSFER attached! When I saw that blue dress and the model I KNEW she was perfect for the character she is supposed to portray. I can’t tell you who it is until Book Three is out, but like all of my characters each woman on the cover is a Companion (current or former) and a central character in Ciardis Weathervane’s life. Sworn To Raise of course was Ciardis herself. Sworn To Transfer was Stephanie (the copy/transfer Companion). Thank you to the dozens of bloggers who have joined me in revealing this cover today! 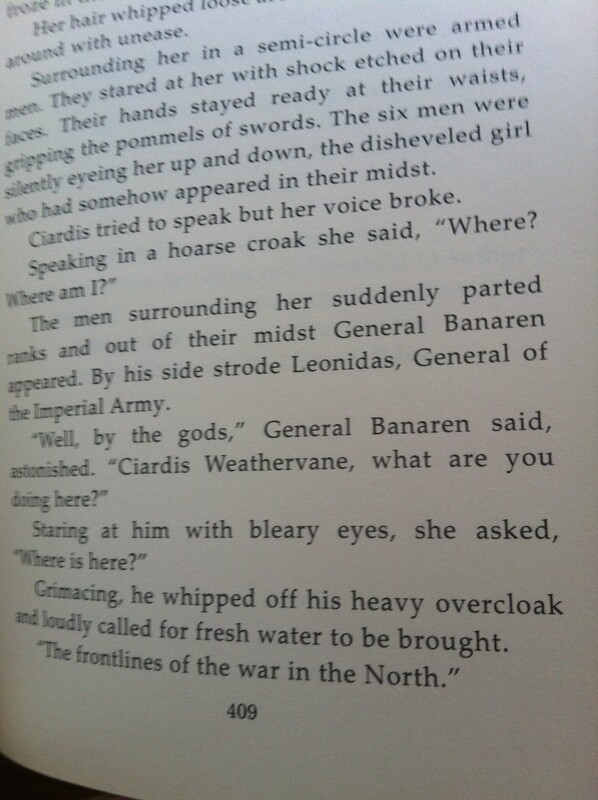 Ciardis Weathervane fought for the living dead and won. But worse than taking on a mass murderer, was her discovery that she had been deceived by her friends. Now she needs to not only fight a war in the North and survive, but also decide where she stands in the midst of competing sides. A threat to all she holds dear lies in the North and her heart is not the only thing she might lose. A massive army awaits in the mountain pass, surging closer to the gates of the southern lands. Nothing the Algardis army has done so far has dissuaded their march forward and Ciardis finds out that her powers to enhance are needed now more than ever. As she faces her greatest fears on the battlefields and her heart is torn between her love of Sebastian and loyalty to her family, Ciardis must choose her fate carefully. For in her path, lies the destiny of the empire. This third novel continues the story of Ciardis Weathervane from Sworn To Transfer. on Amazon and Barnes & Noble! 10/21 UPDATE – Here’s the list of Beta Readers! I want to thank everyone who has agreed to help me out and make Sworn To Conflict an amazing book in this busy time of the year! I’ll be sending you emails next Tuesday!! O.O So excited and can’t wait to hear your thoughts! New call out for beta readers for Book Three! 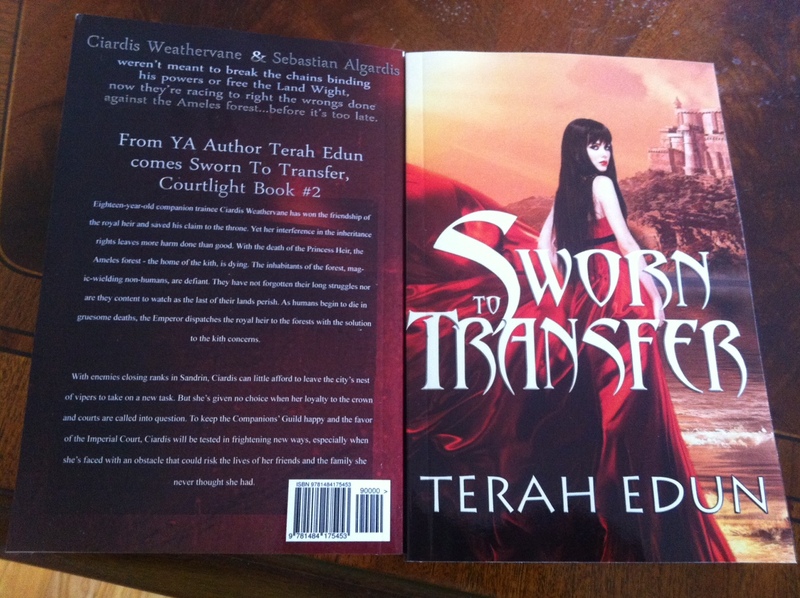 If you beta read Book Two, Sworn To Transfer, I’ll be sending an email out to see if you’re interested in reading Book Three. 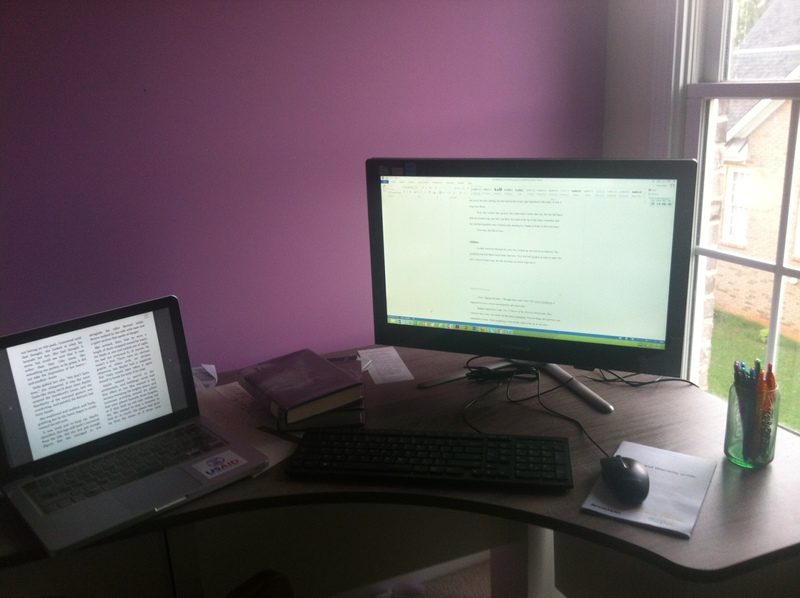 For NEW beta readers – read on. 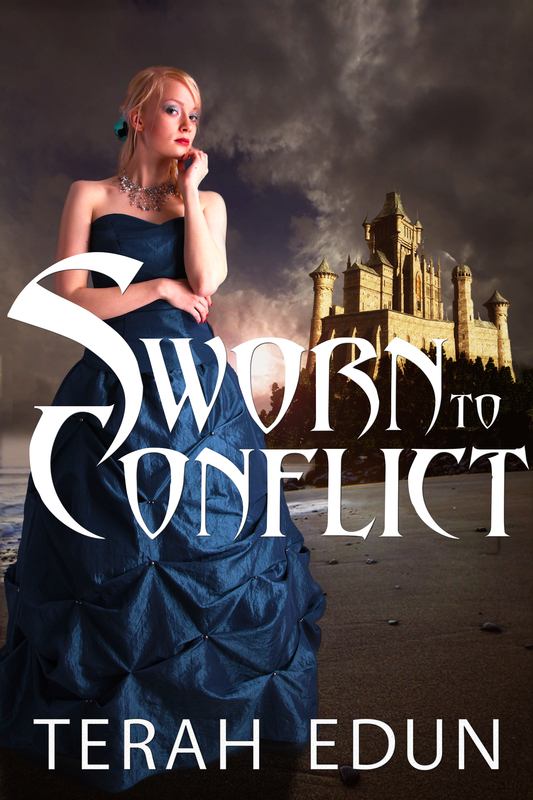 SWORN TO CONFLICT is almost done and I would love reader feedback on the plot arc and character development. You can be any age, any experience level – all I ask is that you be enthusiastic about fantasy books. If you haven’t done this before – don’t worry about it. I’m looking for feedback as detailed as you want (i.e. Terah you missed a semicolon in the second line of paragraph four on page 87) or as broad as you want (i.e. I really didn’t like that Steve character – he’s too angry – change him ASAP). What would be expected of you as a beta reader? You would be emailed the manuscript/Word doc on Tues, Oct. 29th, and you’d have approximately five days to provide feedback (I’d need it back by Sat, Nov. 2nd). Please only enter if you’re available during this timeframe. Please agree to not share the story with anyone else. 3) Is this your first time doing a beta read or book critique? I will post my list of beta readers on Mon, October 21st, so check back then!!! Thanks so much!!! One of the little pleasures of my week is to ship my bookmarks all around the world. Remember when I posted I had goodies for you all? 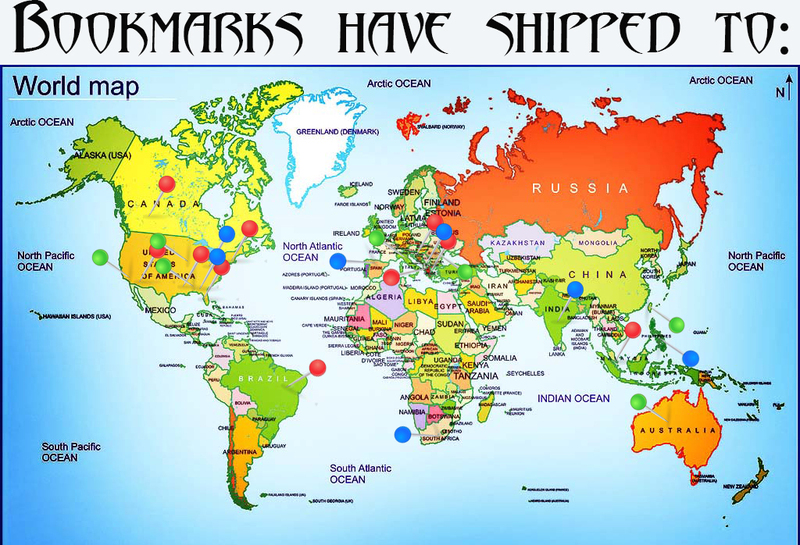 Well, the response has been spectacular and I’ve sent bookmarks as far away as Singapore, across the U.S. to California and across the pond to the U.K. As long as you keep sending me your mailing addresses (details here), I’ll keep sending the bookmarks out. Now that winter is here, I’m sending out bookmarks for Sworn To Transfer, Sworn To Conflict and Courtlight Series postcards! Pins + bookmarks for Sworn To Secrecy to come. 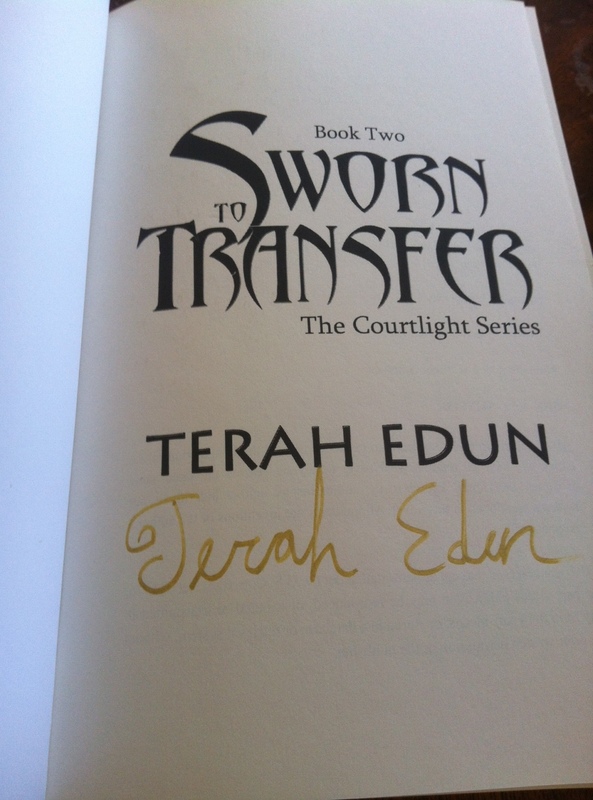 The print copies of Sworn To Transfer (Courtlight #2) are officially here AT MY HOUSE as well as available on Amazon and Createspace. I can’t believe that they’ve finally arrived! When I opened the box and pulled out the copies they were so HUGE! Twice the size of Sworn To Raise and just as beautiful. I love them – they’re simply gorgeous. 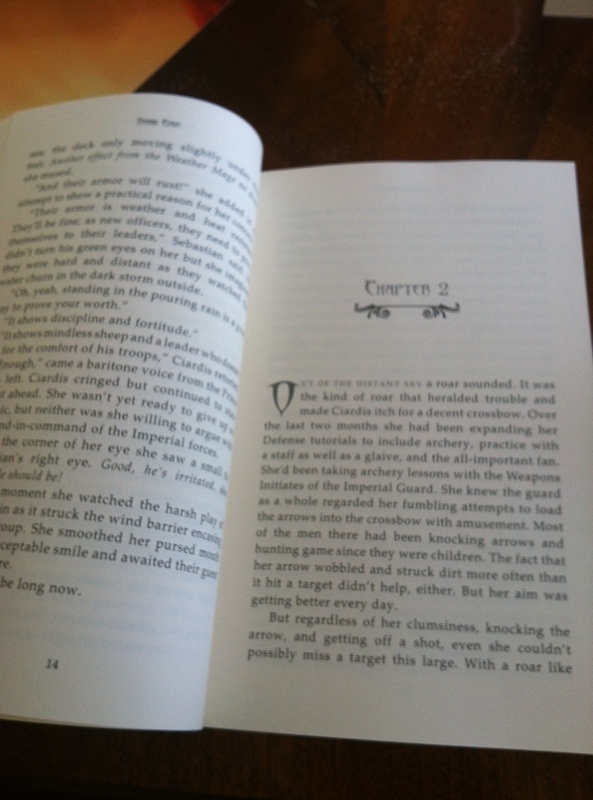 Each book is 409 pages long with cream paper, stylized chapter headings and cute swirlies. Now I’m working on signing these to send off for the September Blitz Rafflecopter and Goodreads Giveaway winners. Beautiful design courtesy of Streetlight Graphics. Don’t forget to come back to the blog on Wednesday, October 16th! 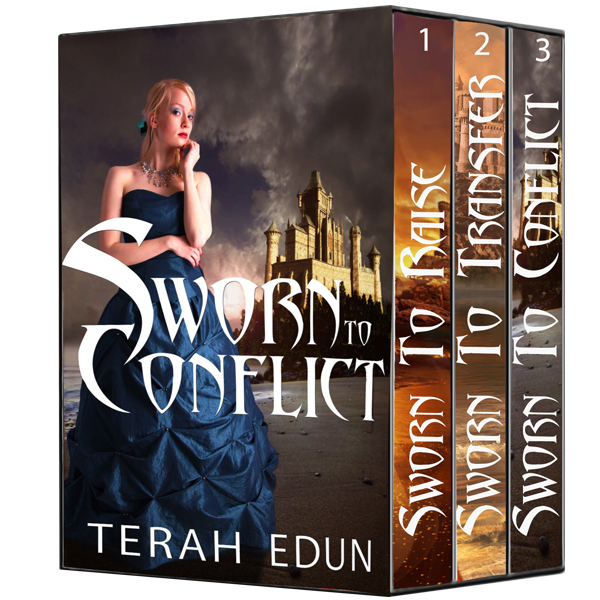 I’m revealing the cover for Sworn To Conflict – Courtlight Book #3. Add it to your To-Reads today! some authors never improve, but Terah Edun is not one of them. Instead, in Sworn to Transfer she fixed pretty much everything that was wrong with the last book. The pacing was much better because everything was slowed down to a manageable but interesting speed and the villain wasn’t such a caricature as in Sworn to Raise. What I liked the most about Sworn to Transfer is how Ciardis’ character has developed over time. You can tell that although she keeps getting in trouble with the Companions’ Guild for breaking protocol, overall she’s far more sure of herself and her powers. At the same time, things are a little more awkward between Ciardis and Sebastien. You can tell they’re starting to develop feelings for each other, but they’re still not sure just how to express them. At least they’re not falling in Insta-Love, but rather their love is growing organically. What I really liked were the plot twists. The huge jaw-dropping twist at the end was completely unexpected but made sense. In addition to that shocker, there were several little turns of events that kept me reading late into the night. I don’t want to give anything away so let’s just say that every character has their secrets and they aren’t exactly eager to share them with Ciardis, the wild card in the Imperial Court. 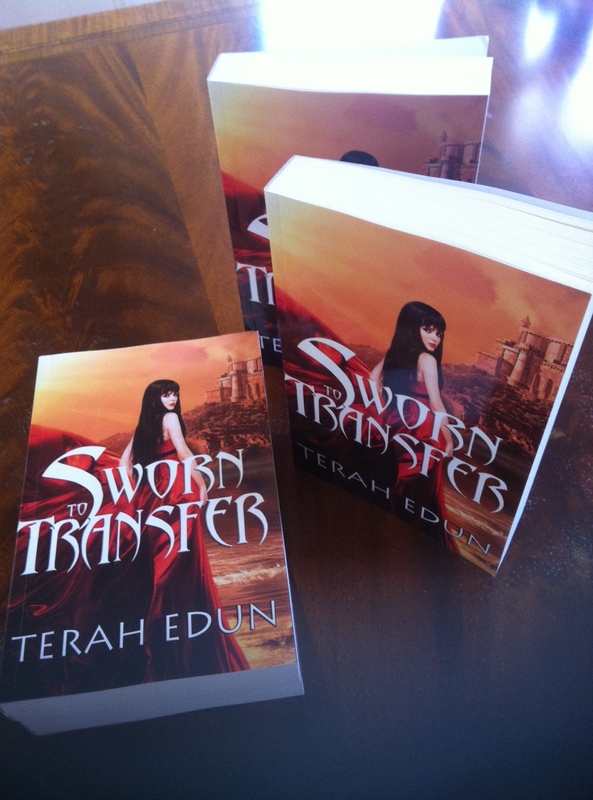 If you enjoyed Sworn to Raise you’ll love Sworn to Transfer even more. The extended world-building, the character development and the evenly paced plot make it a huge improvement over the last book. And although there are some moments where the plot drags, when you finish the book you’ll be begging for the next one to come out. I give this book 4.5/5 stars. Thank you to The Mad Reviewer for such an amazing review. A writer’s ability to improve their story and draw in readers is always key and I’m so glad that Book Two achieved that for you. This book is being prepped for a December 6, 2013 debut. I’ll be sending out requests for beta readers soon. Cover reveal in just nine days! Revealed first on my newsletter (10/14) and second on my blog (10/16). In the meantime do me a favor and leave reviews for Book #2 on Amazon and/or Barnes & Noble? It would really help – especially if I can see what you’re most looking forward to as I continue writing this series. Blades Of Illusion available for PRE-ORDER & catch an excerpt now!